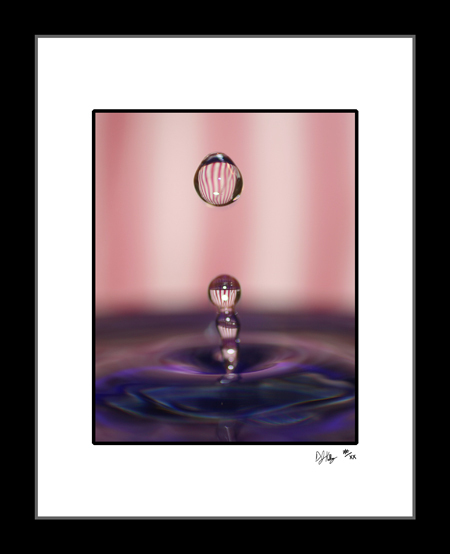 The 'Four Little Drops' photograph is a macro shot that I captured while experimenting with water drops. The striped red background and the timing make the photograph one of my favorite macro shots to date. The ripple in the water with one large drop and three small drops makes for a very interesting photo.